The proposed Amended and Restated Bylaws approved by the Board are now posted on the website. Thank you to everyone involved. A clean copy of the proposed Amended and Restated Bylaws, a red-lined copy, and a memo explaining key changes are posted on the website under the About tab, then APRL By-Laws tab. You can go directly to that page with this link. The proposed Amended and Restated Bylaws will be the subject of a vote at the January 25, 2019 lunch-time business meeting in Las Vegas, Nevada. Congratulations to APRL member Mark Harrison, who was recently honored as a founding “Emeritus Board Inductee” member for Teach for America (TFA) Phoenix at its 2018 Celebration Dinner, along with two others. “Knowing that we would not be where we are today without a history of champions in the community, we are pleased to announce the founding class of our Emeritus Board,” said Katie Tennessen Hooten, executive director of TFA Phoenix. “We honor these individuals for their decades of support, advocacy, and life-long commitment to achieving educational equity here in Arizona.” Harrison chaired the first board of Teach for America – Phoenix from 1994 to 1996 after his daughter, Jill, had served as a Teach for America corps member in southern Louisiana in 1991. “Seeing the special bond established between Jill and her students inspired him to bring the TFA mission to Phoenix,” the TFA nomination noted. 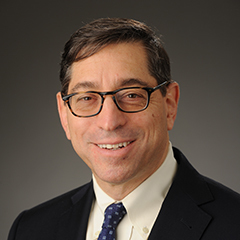 APRL member Bruce Green, ethics lawyer and professor, is the 2018 Michael Franck Award recipient from the ABA Center on Professional Responsibility. Bruce is well known to APRL as a longtime member and contributor to all things APRL (the 2008 annual meeting at Fordham is just an example). 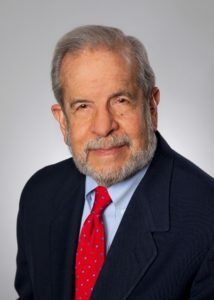 As longtime APRL-ite Ellen Yaroshefsky at Cardozo School of Law wrote “Bruce Green has been one of the most significant voices in legal ethics in the last 30 years.” His numerous scholarly accomplishments include articles in law reviews, legal periodicals, books and other legal writings. 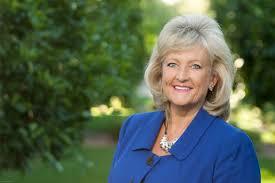 As a highly sought-after speaker, he has participated in hundreds of programs both nationally and internationally. Bruce will receive the ABA Michael Franck Professional Responsibility Award on May 31, 2018 during the 44th National Conference on Professional Responsibility in Louisville, KY, where he will also moderate a panel entitled Lies, Damned Lies and ‘Alternative’ Facts. APRL member, Heather L. Rosing, was recently elected to serve as the first President of the California Lawyers Association (CLA). As the nation’s second-largest professional association for attorneys, CLA is the new home of the Sections of the State Bar of California, as well as the California Young Lawyers Association (CYLA), effective January 1, 2018. In October of 2017, Governor Jerry Brown signed SB 36 into law, effectively separating some of the professional promotion activities of the State Bar of California into CLA, a private non-profit entity. The organization’s mission to promote professional advancement of attorneys practicing in California. Ms. Rosing is Chief Financial Officer and Shareholder of Klinedinst PC, a business law firm with five offices across the West Coast. She currently serves as the President of the California Bar Foundation, California’s largest scholarship resource for diverse law students and is highly active in the legal community. 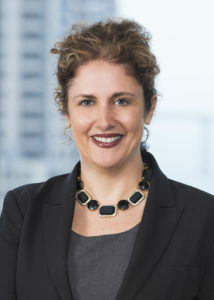 Having served as Vice President of the State Bar of California, she provides a unique perspective in the makeup of the state’s legal community. The ABA Standing Committee on Ethics and Professional Responsibility has issued its proposed changes to the Model Rules on Advertising, click here to view. In the years leading up to this, APRL requested that changes be made and issued two lengthy reports showing why and how the rules should change. APRL recently issued comments on the current ABA proposal and suggested further changes, click here to view. A public hearing will be held in Vancouver, in conjunction with the ABA midyear meeting from 2:00 to 3:30 p.m., to obtain comments on the SCEPR proposals. SCEPR will accept written comments through March 1, 2018. A big Thank You to APRL’s Public Statements Committee for its hard work on the NAAMP v. Howell and NAAMP v. Lynch amicus briefs. New York Meeting Photos Now Available! APRL’s photos taken at the Annual Meeting in New York in August are now available to view in the Photo Gallery. You must be logged in to your member profile to view the photos. APRL joined with NOBC, CoLAP, the ABA Center, and others to create a National Task Force on Lawyer Well-Being, which issued a lengthy report with recommendations for advancing lawyer wellness. APRL members on the Task Force were Lynda Shely, Jayne Reardon, Don Campbell, and Charles Gruber. Both the Conference of Chief Justices and the ABA President Hilarie Bass are backing the initiative to have all stakeholders in the legal profession recognize and support the importance of lawyer wellness as part of being a competent lawyer. A new book from the American Bar Association, “Legal Ethics and Social Media: A Practitioner’s Handbook,” written by APRL member Jan Jacobowitz and John G. Browning, will assist lawyers in understanding and navigating the often slippery slope of digital communications, such as Twitter, Facebook and You Tube. For more information, click here. On June 23, 2017, APRL member Lynda Shely testified before the House of Representatives, Judiciary Committee, Subcommittee on the Constitution and Civil Justice, regarding lawyer advertising related to pharmaceuticals. You can view Ms. Shely’s testimony statement below. Shely Testimony House SC Constitution Civil Justice June 23 2017.